Are you considering a terms and conditions for your mobile app? Download our FREE template below to ensure your app is protected, or generate your own terms and conditions with our quick and easy builder. What Are Mobile App Terms and Conditions? Is a Terms and Conditions For My Mobile App Required? These Terms and Conditions constitute a legally binding agreement made between you, whether personally or on behalf of an entity (“you”) and [your business name] (“we,” “us” or “our”), concerning your access to and use of our mobile application (the “Application”). You agree that by accessing the Application, you have read, understood, and agree to be bound by all of these Terms and Conditions Use. IF YOU DO NOT AGREE WITH ALL OF THESE TERMS AND CONDITIONS, THEN YOU ARE EXPRESSLY PROHIBITED FROM USING THE APPLICATION AND YOU MUST DISCONTINUE USE IMMEDIATELY. Supplemental terms and conditions or documents that may be posted on the Application from time to time are hereby expressly incorporated herein by reference. We reserve the right, in our sole discretion, to make changes or modifications to these Terms and Conditions at any time and for any reason. We will alert you about any changes by updating the “Last updated” date of these Terms and Conditions and you waive any right to receive specific notice of each such change. It is your responsibility to periodically review these Terms and Conditions to stay informed of updates. You will be subject to, and will be deemed to have been made aware of and to have accepted, the changes in any revised Terms and Conditions by your continued use of the Application after the date such revised Terms are posted. The information provided on the Application is not intended for distribution to or use by any person or entity in any jurisdiction or country where such distribution or use would be contrary to law or regulation or which would subject us to any registration requirement within such jurisdiction or country. Accordingly, those persons who choose to access the Application from other locations do so on their own initiative and are solely responsible for compliance with local laws, if and to the extent local laws are applicable. Option 1: The Application is intended for users who are at least 18 years old. Persons under the age of 13 are not permitted to register for the Application. Provided that you are eligible to use the Application, you are granted a limited license to access and use the Application and to download or print a copy of any portion of the Content to which you have properly gained access solely for your personal, non-commercial use. We reserve all rights not expressly granted to you in and to the Application, Content, and the Marks. If you provide any information that is untrue, inaccurate, not current, or incomplete, we have the right to suspend or terminate your account and refuse any and all current or future use of the Application(or any portion thereof). You may be required to register with the Application. You agree to keep your password confidential and will be responsible for all use of your account and password. We reserve the right to remove, reclaim, or change a username you select if we determine, in our sole discretion, that such username is inappropriate, obscene, or otherwise objectionable. You may not access or use the Application for any purpose other than that for which we make the Application available. The Application may not be used in connection with any commercial endeavors except those that are specifically endorsed or approved by us. Systematically retrieve data or other content from the Application to create or compile, directly or indirectly, a collection, compilation, database, or directory without written permission from us. Make any unauthorized use of the Application, including collecting usernames and/or email addresses of users by electronic or other means for the purpose of sending unsolicited email, or creating user accounts by automated means or under false pretenses. Use a buying agent or purchasing agent to make purchases on the Application. Use the Application to advertise or offer to sell goods and services. Circumvent, disable, or otherwise interfere with security-related features of the Application, including features that prevent or restrict the use or copying of any Content or enforce limitations on the use of the Application and/or the Content contained therein. Engage in unauthorized framing of or linking to the Application. Interfere with, disrupt, or create an undue burden on the Application or the networks or services connected to the Application. Use any information obtained from the Application in order to harass, abuse, or harm another person. Use the Application as part of any effort to compete with us or otherwise use the Application and/or the Content for any revenue-generating endeavor or commercial enterprise. Decipher, decompile, disassemble, or reverse engineer any of the software comprising or in any way making up a part of the Application. Attempt to bypass any measures of the Application designed to prevent or restrict access to the Application, or any portion of the Application. Harass, annoy, intimidate, or threaten any of our employees or agents engaged in providing any portion of the Application to you. Upload or transmit (or attempt to upload or to transmit) viruses, Trojan horses, or other material, including excessive use of capital letters and spamming (continuous posting of repetitive text), that interferes with any party’s uninterrupted use and enjoyment of the Application or modifies, impairs, disrupts, alters, or interferes with the use, features, functions, operation, or maintenance of the Application. Except as may be the result of standard search engine or Internet browser usage, use, launch, develop, or distribute any automated system, including without limitation, any spider, robot, cheat utility, scraper, or offline reader that accesses the Application, or using or launching any unauthorized script or other software. Disparage, tarnish, or otherwise harm, in our opinion, us and/or the Application. Use the Application in a manner inconsistent with any applicable laws or regulations. By posting your Contributions to any part of the Application, or making Contributions accessible to the Application by linking your account from the Application to any of your social networking accounts, you automatically grant, and you represent and warrant that you have the right to grant, to us an unrestricted, unlimited, irrevocable, perpetual, non-exclusive, transferable, royalty-free, fully-paid, worldwide right, and license to host, use, copy, reproduce, disclose, sell, resell, publish, broadcast, retitle, archive, store, cache, publicly perform, publicly display, reformat, translate, transmit, excerpt (in whole or in part), and distribute such Contributions (including, without limitation, your image and voice) for any purpose, commercial, advertising, or otherwise, and to prepare derivative works of, or incorporate into other works, such Contributions, and grant and authorize sublicenses of the foregoing. The use and distribution may occur in any media formats and through any media channels. We do not assert any ownership over your Contributions. You retain full ownership of all of your Contributions and any intellectual property rights or other proprietary rights associated with your Contributions. We are not liable for any statements or representations in your Contributions provided by you in any area on the Application. You are solely responsible for your Contributions to the Application and you expressly agree to exonerate us from any and all responsibility and to refrain from any legal action against us regarding your Contributions. We have the right, in our sole and absolute discretion, (1) to edit, redact, or otherwise change any Contributions; (2) to re-categorize any Contributions to place them in more appropriate locations on the Application; and (3) to pre-screen or delete any Contributions at any time and for any reason, without notice. We have no obligation to monitor your Contributions. We may provide you areas on the Application to leave reviews or ratings. When posting a review, you must comply with the following criteria: (1) you should have firsthand experience with the person/entity being reviewed; (2) your reviews should not contain offensive profanity, or abusive, racist, offensive, or hate language; (3) your reviews should not contain discriminatory references based on religion, race, gender, national origin, age, marital status, sexual orientation, or disability; (4) your reviews should not contain references to illegal activity; (5) you should not be affiliated with competitors if posting negative reviews; (6) you should not make any conclusions as to the legality of conduct; (7) you may not post any false or misleading statements; and (8) you may not organize a campaign encouraging others to post reviews, whether positive or negative. As part of the functionality of the Application, you may link your account with online accounts you have with third-party service providers (each such account, a “Third-Party Account”) by either: (1) providing your Third-Party Account login information through the Application; or (2) allowing us to access your Third-Party Account, as is permitted under the applicable terms and conditions that govern your use of each Third-Party Account. You represent and warrant that you are entitled to disclose your Third-Party Account login information to us and/or grant us access to your Third-Party Account, without breach by you of any of the terms and conditions that govern your use of the applicable Third-Party Account, and without obligating us to pay any fees or making us subject to any usage limitations imposed by the third-party service provider of the Third-Party Account. By granting us access to any Third-Party Accounts, you understand that (1) we may access, make available, and store (if applicable) any content that you have provided to and stored in your Third-Party Account (the “Social Network Content”) so that it is available on and through the Application via your account, including without limitation any friend lists and (2) we may submit to and receive from your Third-Party Account additional information to the extent you are notified when you link your account with the Third-Party Account. Depending on the Third-Party Accounts you choose and subject to the privacy settings that you have set in such Third-Party Accounts, personally identifiable information that you post to your Third-Party Accounts may be available on and through your account on the Application. Please note that if a Third-Party Account or associated service becomes unavailable or our access to such Third-Party Account is terminated by the third-party service provider, then Social Network Content may no longer be available on and through the Application. You will have the ability to disable the connection between your account on the Application and your Third-Party Accounts at any time. PLEASE NOTE THAT YOUR RELATIONSHIP WITH THE THIRD-PARTY SERVICE PROVIDERS ASSOCIATED WITH YOUR THIRD-PARTY ACCOUNTS IS GOVERNED SOLELY BY YOUR AGREEMENT(S) WITH SUCH THIRD-PARTY SERVICE PROVIDERS. We make no effort to review any Social Network Content for any purpose, including but not limited to, for accuracy, legality, or non-infringement, and we are not responsible for any Social Network Content. You acknowledge and agree that we may access your email address book associated with a Third-Party Account and your contacts list stored on your mobile device or tablet computer solely for purposes of identifying and informing you of those contacts who have also registered to use the Application. You can deactivate the connection between the Application and your Third-Party Account by contacting us using the contact information below or through your account settings (if applicable). We will attempt to delete any information stored on our servers that was obtained through such Third-Party Account, except the username and profile picture that become associated with your account. You acknowledge and agree that any questions, comments, suggestions, ideas, feedback, or other information regarding the Application (“Submissions”) provided by you to us are non-confidential and shall become our sole property. We shall own exclusive rights, including all intellectual property rights, and shall be entitled to the unrestricted use and dissemination of these Submissions for any lawful purpose, commercial or otherwise, without acknowledgment or compensation to you. You hereby waive all moral rights to any such Submissions, and you hereby warrant that any such Submissions are original with you or that you have the right to submit such Submissions. You agree there shall be no recourse against us for any alleged or actual infringement or misappropriation of any proprietary right in your Submissions. We allow advertisers to display their advertisements and other information in certain areas of the Application, such as sidebar advertisements or banner advertisements. If you are an advertiser, you shall take full responsibility for any advertisements you place on the Application and any services provided on the Application or products sold through those advertisements. Further, as an advertiser, you warrant and represent that you possess all rights and authority to place advertisements on the Application, including, but not limited to, intellectual property rights, publicity rights, and contractual rights. As an advertiser, you agree that such advertisements are subject to our Digital Millennium Copyright Act (“DMCA”) Notice and Policy provisions as described below, and you understand and agree there will be no refund or other compensation for DMCA takedown-related issues. We simply provide the space to place such advertisements, and we have no other relationship with advertisers. We respect the intellectual property rights of others. If you believe that any material available on or through the Application infringes upon any copyright you own or control, please immediately notify our Designated Copyright Agent using the contact information provided below (a “Notification”). A copy of your Notification will be sent to the person who posted or stored the material addressed in the Notification. Please be advised that pursuant to federal law you may be held liable for damages if you make material misrepresentations in a Notification. Thus, if you are not sure that material located on or linked to by the Application infringes your copyright, you should consider first contacting an attorney. All Notifications should meet the requirements of DMCA 17 U.S.C. § 512(c)(3) and include the following information: (1) A physical or electronic signature of a person authorized to act on behalf of the owner of an exclusive right that is allegedly infringed; (2) identification of the copyrighted work claimed to have been infringed, or, if multiple copyrighted works on the Application are covered by the Notification, a representative list of such works on the Application; (3) identification of the material that is claimed to be infringing or to be the subject of infringing activity and that is to be removed or access to which is to be disabled, and information reasonably sufficient to permit us to locate the material; (4) information reasonably sufficient to permit us to contact the complaining party, such as an address, telephone number, and, if available, an email address at which the complaining party may be contacted; (5) a statement that the complaining party has a good faith belief that use of the material in the manner complained of is not authorized by the copyright owner, its agent, or the law; and (6) a statement that the information in the notification is accurate, and under penalty of perjury, that the complaining party is authorized to act on behalf of the owner of an exclusive right that is allegedly infringed upon. If you believe your own copyrighted material has been removed from the Application as a result of a mistake or misidentification, you may submit a written counter notification to [us/our Designated Copyright Agent] using the contact information provided below (a “Counter Notification”). To be an effective Counter Notification under the DMCA, your Counter Notification must include substantially the following: (1) identification of the material that has been removed or disabled and the location at which the material appeared before it was removed or disabled; (2) a statement that you consent to the jurisdiction of the Federal District Court in which your address is located, or if your address is outside the United States, for any judicial district in which we are located; (3) a statement that you will accept service of process from the party that filed the Notification or the party’s agent; (4) your name, address, and telephone number; (5) a statement under penalty of perjury that you have a good faith belief that the material in question was removed or disabled as a result of a mistake or misidentification of the material to be removed or disabled; and (6) your physical or electronic signature. We respect the intellectual property rights of others. If you believe that any material available on or through the Application infringes upon any copyright you own or control, please immediately notify us using the contact information provided below (a “Notification”). A copy of your Notification will be sent to the person who posted or stored the material addressed in the Notification. Please be advised that pursuant to federal law you may be held liable for damages if you make material misrepresentations in a Notification. Thus, if you are not sure that material located on or linked to by the Application infringes your copyright, you should consider first contacting an attorney. We reserve the right to change, modify, or remove the contents of the Application at any time or for any reason at our sole discretion without notice. However, we have no obligation to update any information on our Application. We also reserve the right to modify or discontinue all or part of the Application without notice at any time. We will not be liable to you or any third party for any modification, price change, suspension, or discontinuance of the Application. In no event shall any Dispute brought by either Party related in any way to the Application be commenced more than [# of years] years after the cause of action arose. If this provision is found to be illegal or unenforceable, then neither Party will elect to arbitrate any Dispute falling within that portion of this provision found to be illegal or unenforceable and such Dispute shall be decided by a court of competent jurisdiction within the courts listed for jurisdiction above, and the Parties agree to submit to the personal jurisdiction of that court. In no event shall any Dispute brought by either Party related in any way to the Application or Services be commenced more than [# of years] years after the cause of action arose. If this provision is found to be illegal or unenforceable, then neither Party will elect to arbitrate any Dispute falling within that portion of this provision found to be illegal or unenforceable and such Dispute shall be decided by a court of competent jurisdiction within the courts listed for jurisdiction above, and the Parties agree to submit to the personal jurisdiction of that court. There may be information on the Application that contains typographical errors, inaccuracies, or omissions that may relate to the Application, including descriptions, pricing, availability, and various other information. We reserve the right to correct any errors, inaccuracies, or omissions and to change or update the information on the Application at any time, without prior notice. THE APPLICATION IS PROVIDED ON AN AS-IS AND AS-AVAILABLE BASIS. YOU AGREE THAT YOUR USE OF THE APPLICATION SERVICES WILL BE AT YOUR SOLE RISK. TO THE FULLEST EXTENT PERMITTED BY LAW, WE DISCLAIM ALL WARRANTIES, EXPRESS OR IMPLIED, IN CONNECTION WITH THE APPLICATION AND YOUR USE THEREOF, INCLUDING, WITHOUT LIMITATION, THE IMPLIED WARRANTIES OF MERCHANTABILITY, FITNESS FOR A PARTICULAR PURPOSE, AND NON-INFRINGEMENT. WE MAKE NO WARRANTIES OR REPRESENTATIONS ABOUT THE ACCURACY OR COMPLETENESS OF THE APPLICATION’S CONTENT OR THE CONTENT OF ANY WEBSITES LINKED TO THIS APPLICATION AND WE WILL ASSUME NO LIABILITY OR RESPONSIBILITY FOR ANY (1) ERRORS, MISTAKES, OR INACCURACIES OF CONTENT AND MATERIALS, (2) PERSONAL INJURY OR PROPERTY DAMAGE, OF ANY NATURE WHATSOEVER, RESULTING FROM YOUR ACCESS TO AND USE OF THE APPLICATION, (3) ANY UNAUTHORIZED ACCESS TO OR USE OF OUR SECURE SERVERS AND/OR ANY AND ALL PERSONAL INFORMATION AND/OR FINANCIAL INFORMATION STORED THEREIN, (4) ANY INTERRUPTION OR CESSATION OF TRANSMISSION TO OR FROM THE APPLICATION, (5) ANY BUGS, VIRUSES, TROJAN HORSES, OR THE LIKE WHICH MAY BE TRANSMITTED TO OR THROUGH THE APPLICATION BY ANY THIRD PARTY, AND/OR (6) ANY ERRORS OR OMISSIONS IN ANY CONTENT AND MATERIALS OR FOR ANY LOSS OR DAMAGE OF ANY KIND INCURRED AS A RESULT OF THE USE OF ANY CONTENT POSTED, TRANSMITTED, OR OTHERWISE MADE AVAILABLE VIA THE APPLICATION. WE DO NOT WARRANT, ENDORSE, GUARANTEE, OR ASSUME RESPONSIBILITY FOR ANY PRODUCT OR SERVICE ADVERTISED OR OFFERED BY A THIRD PARTY THROUGH THE APPLICATION, ANY HYPERLINKED WEBSITE, OR ANY WEBSITE OR MOBILE APPLICATION FEATURED IN ANY BANNER OR OTHER ADVERTISING, AND WE WILL NOT BE A PARTY TO OR IN ANY WAY BE RESPONSIBLE FOR MONITORING ANY TRANSACTION BETWEEN YOU AND ANY THIRD-PARTY PROVIDERS OF PRODUCTS OR SERVICES. AS WITH THE PURCHASE OF A PRODUCT OR SERVICE THROUGH ANY MEDIUM OR IN ANY ENVIRONMENT, YOU SHOULD USE YOUR BEST JUDGMENT AND EXERCISE CAUTION WHERE APPROPRIATE. Looking for more examples? Visit our library of FREE sample terms and conditions templates. 2. What Are Mobile App Terms and Conditions? A terms and conditions agreement explains the rules, requirements, restrictions, and limitations that users must abide by in order to use your mobile application. More specifically, it acts as a binding contract between you and your users that protects the rights of both parties. Business owners and app developers often use the same terms and conditions for both their website and mobile applications in order to keep their terms consistent across all platforms. This not only protects their intellectual property, it allows them to prohibit unwanted activity, and to terminate users that violate their terms. Disclaimers are official statements that help app developers avoid or prevent unwanted liabilities and claims, and privacy policies disclose how a website handles a user’s personal information. Unlike your terms and conditions section, privacy policies are required by law. 3. Is a Terms and Conditions For My Mobile App Required? Protection from abusive users: This includes issues like copyright infringement, spamming other fellow users, and general misuse of your app. Arbitration over Litigation: When it comes to settling legal disputes, arbitration is generally considered to be more efficient than litigation. It’s cheaper, quicker, and it forces both parties to work together to resolve the issue. Maintain termination rights: As the business owner or app developer, you maintain the right to terminate user accounts whenever you see fit. Limited liability: This will vary from case to case, but laying out clear terms for your mobile app will limit your liabilities to users that may make claims against you. How it benefits the user: Your agreement should explain the finer points of your app to the user, like how specific payment processes work, what kind of behaviour is expected of users, and how to contact customer support. It also tells them what rights they have as a user. Define key words: So that users don’t misinterpret your terms, you need to define what potentially ambiguous words in your agreement mean. For example, Facebook refers to all of its brands, products and services as “Facebook Services,” or “Services.” By being explicit as possible, you lessen the chances of a user misinterpreting your intent. Rights and Responsibilities of Use: This informs users of what rights they have when using your product. Typically, this means that users are not allowed to do anything that infringes on someone else’s rights or breaks the law. Proper or Expected Usage: This explains how your app is intended to be used, and what users are expected to do when they use it. It sounds straightforward, but it gives you boundaries in the event that a user abuses your app. Intellectual Property Protection: This protects your Intellectual Property by informing users who the proprietor is, and what exactly defines your Intellectual Property. Accountability: You should inform users that they will be held accountable for their actions and conduct. Payment Details: Users need to know all the details when it comes to payments. Do they pay a subscription fee or a membership fee? How do they go about making payments? Disclaimers and Warranties: Users want to know if your products come with warranties, or if you offer refunds. Account Termination: If a user decides to eliminate their account, you need to explain how they are to do it. Include a carefully laid out procedure that guides them each step of the way. Exclusion or Limitation of Liability: Should a user incur some kind of damage or harm by using your app, you can actually limit or even prevent any claims they may make against you. Notify Users upon Modification of Terms: You need to inform users if and when you make changes to your app, and explain how these changes will affect them. 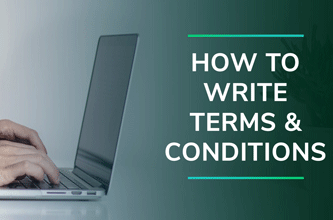 For more information about these necessary and recommended clauses, read our guide on how to write terms and conditions. Some apps are more complex than others. For example, an alarm clock app has a simple, straightforward purpose and function. Something like Dropbox, however, is more complicated because its service is more involved. Since not all apps are the same, the terms you include in your agreement will vary. 2. Software as a Service (SaaS) Apps: These apps are a little more complicated because they rely on an external cloud to bring their service to users. Usually bigger apps, like Google Docs or Instagram, are considered SaaS apps. Because these apps promote what is referred to as User Generated Content (UGC), certain terms need to be addressed. 3. Ecommerce Apps: Apps that are tied to ecommerce have a very specific purpose: they either sell products from the app itself, or they connect users who are interested in buying, selling, and trading amongst themselves via the app’s platform. To ensure that users see and agree to your agreement, you need to make sure it is accessible and easy to find, or obligate users to agree to your terms before they can proceed. Many mobile apps implement what is called the clickwrap method to guarantee that users are aware of their terms and conditions. This method forces users to manually agree to your mobile app’s terms before they are permitted to use your app, as seen in the example below. The browsewrap method assumes that users accept the terms and conditions by simply “accessing or using the Services,” as is implied in Uber’s agreement below. To make sure users can find the agreement, most apps hyperlink it to a main page or homepage. The consent banner method combines elements of both clickwrap and browsewrap. Consent banners are less intrusive than clickwrap as they still allow users to access your mobile app, yet they are more binding than browsewrap as they don’t assume consent. 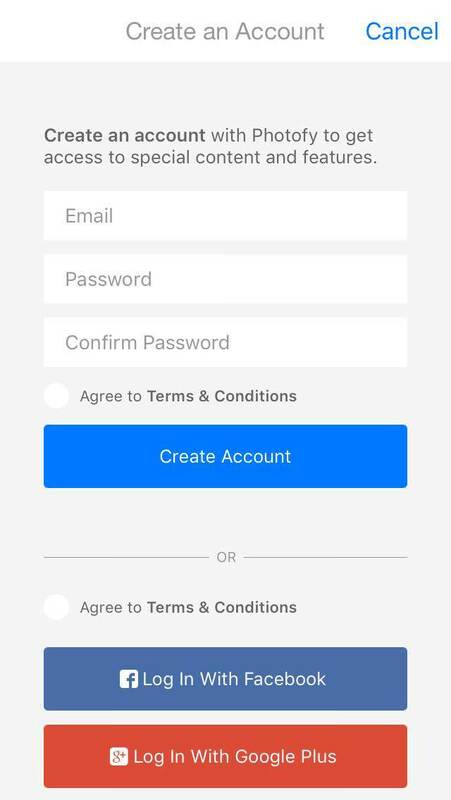 These banners appear at the bottom, top, or either side of a user’s screen and include an unticked checkbox or a button asking for user consent to your terms and conditions. App stores have very specific requirements for app developers when it comes to terms and conditions agreements. How this affects your mobile application depends on which platform you choose to use. It should be noted that the most common agreement when it comes to mobile apps is the End User License Agreement (EULA). This specific agreement grants the purchaser the right to use the software. Currently, the two most common platforms to purchase and develop apps are Apple and Google Play. Apple provides a standard EULA that the user accepts upon downloading an app. You can choose to use Apple’s default agreement, or you have the option of writing your own. Google Play’s stipulations require app developers to acknowledge Google’s right to use their own “Developer Brand Features…solely in connection with the distribution and sale of Developer’s Product through Google Play.” This basically grants Google certain privileges regarding your brand as long as you use their app store. HoKo Buy is an ecommerce app that employs the browsewrap method. By downloading and registering the app, the user is agreeing to their Terms & Conditions. Although Alarm Clock for Me serves a simple purpose, this SaaS app from Apalon: Essential Apps goes beyond its basic function by incorporating weather forecast features for users. To do this, it recommends that users allow the app to use Location Services. Viber also prompts the user to accept the necessary Terms and Conditions before proceeding to use the app, but you cannot actually view it on the app itself. Like many other apps, Viber posts its ‘Terms & Policies’ on their website, and they also use their own End-User License Agreement. Photofy combines photo editing, brand advertising, and even ‘geo-located events’ into one app. This is a great example of a SaaS app that encourages and thrives on User Generated Content; in fact, without user generated content, they wouldn’t have a platform at all. Because Photofy depends so much on its users, they need a sturdy Terms and Conditions to ensure that users behave when using their service. In the picture below, Photofy requires users to accept their terms before they can create an account.